Lonely Cas. 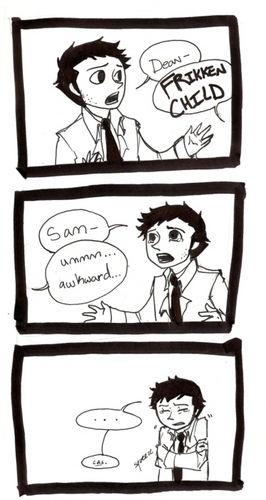 Someone give Cas a hug o I will!!!. Wallpaper and background images in the Castiel club tagged: supernatural castiel lonely angel. This Castiel fan art might contain segno, manifesto, testo, lavagna, poster, anime, fumetti, manga, and cartoni animati.